← The Deal is Done. MerchantCirlce is now part of Reply!Media. It is called fishing and not catching, and it is the dirty secret of Silicon Valley. Unless your startup hits a grand slam, or you are its founder, CEO or a key engineer, your post-exit payday isn’t more than a few months salary. Then you may lose your job. So why join a startup? The answer became apparent to me again the other day when I got a call from a young engineer who left MerchantCircle after we sold to Reply.com. This engineer asked me about his new employer, his options and how much money they would be worth. These are all pretty normal things, so after helping him with some math, I told him to buy his options immediately so he would be an owner and pay long-term capital gains. The conversation stopped cold when I told him that none of his worthwhile questions were really relevant. It is called fishing, not catching. In the valley, we often get caught up talking about fundings, exits and who made what. While catching a tarpon, I have never really considered this the part of Silicon Valley culture that makes great things happen. Having just caught one with the MerchantCircle sale, it became clear to me the same is true of startups. • The process of doing a startup is supposed to be fun. I don’t mean parties and playing video games fun. I mean you have to enjoy the process, enjoy the team and enjoy the problem. I know this because I experience the loss of not working on the MerchantCircle “problem” any more. 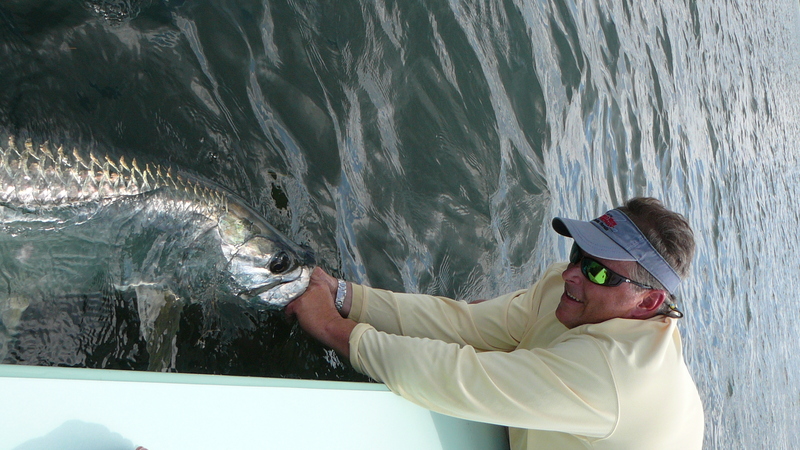 • A day spent fishing is a day spent learning new things, such as how to see a tarpon against the glare of the water. If you don’t want to learn something new every day, don’t do a startup. • Not every startup leads to an exit, but every one should build relationships. We all know fishing is about the stories of the big one that got away. I certainly have one with Spoke that gets bigger as competitor LinkedIn’s public valuation grows. • Startups are about the challenge of going after the big one, swinging for the fences and trying to change the world. If it was about catching, Google would have sold to AOL and Facebook would be owned by Yahoo. I meet a lot of people in startups who complain all day about not catching anything. You know these people. They are the ones jumping from deal to deal trying to be there when the exit occurs so they can post on Facebook. 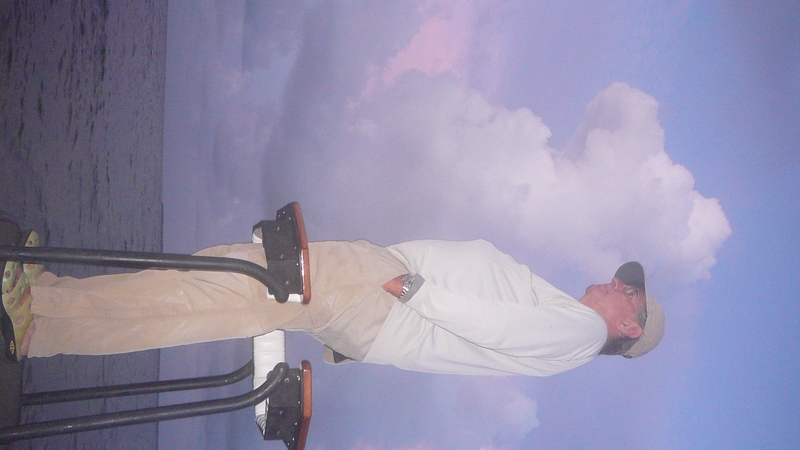 Of course, we all want to catch something, and I am not suggesting we shouldn’t be looking to make great returns. But having left my startup and telling myself I would not do another one, I miss the experience. While I have enjoyed a little actual fishing in the meantime, I find myself looking to get back to the startup world like a fisherman starts looking for a new boat the day he sells his old one. It is probably the same reason Chad Hurley jumped back in with Delicious after selling YouTube, and why Sean Parker is always working on two new ones after Facebook. The happy ending to this story is that if you really love fishing and put in the time, your chances go way up of catching one people will talk about for 20 years. I have found over and over again, the teams who enjoy the startup game are the ones that deliver me crazy outsized returns. And the ones that don’t like the process, you might as well go to a grocery story if you want an easy catch. This entry was posted in Investments, MerchantCircle, Personal, Silicon Valley, Startups and tagged A.T.Kearney, Fishing, merchantcircle, Startups, web entreprenuer. Bookmark the permalink.